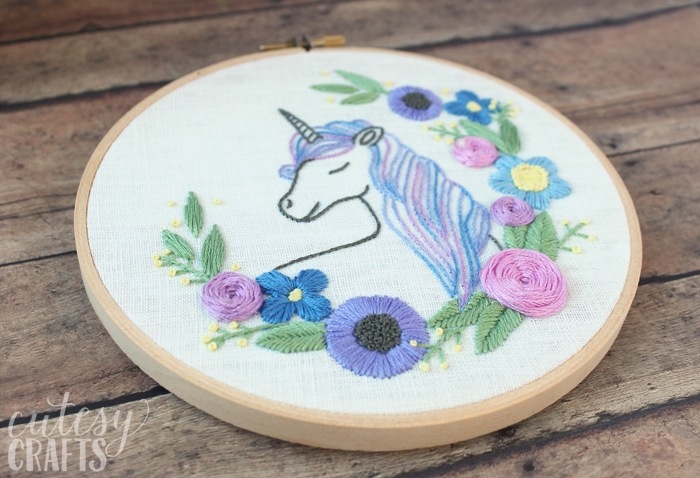 Today I have a pretty unicorn embroidery pattern to share with you. 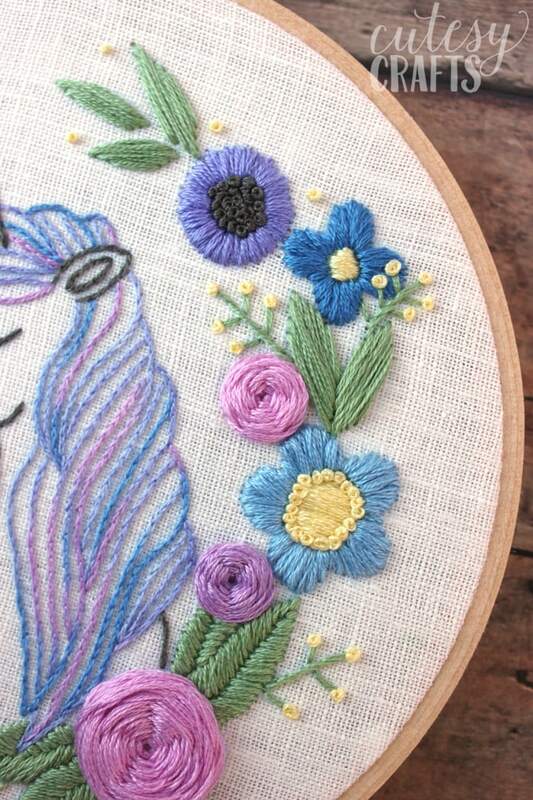 She has a floral wreath and multi-colored hair that was so fun to stitch. Since my “Bloom” embroidery stitch-along did so well, I decided I will be filming another one for this pattern. This pattern is a little more complicated than the “Bloom” hoop, but still doable. 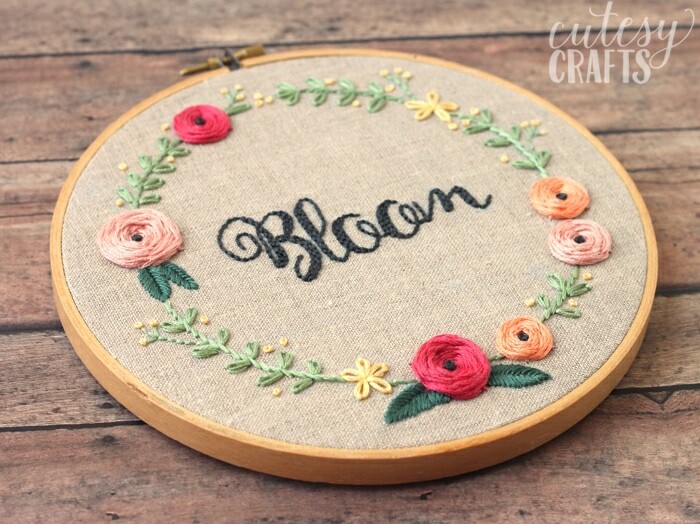 If you are beginner, I do recommend trying the “Bloom” hoop first though. 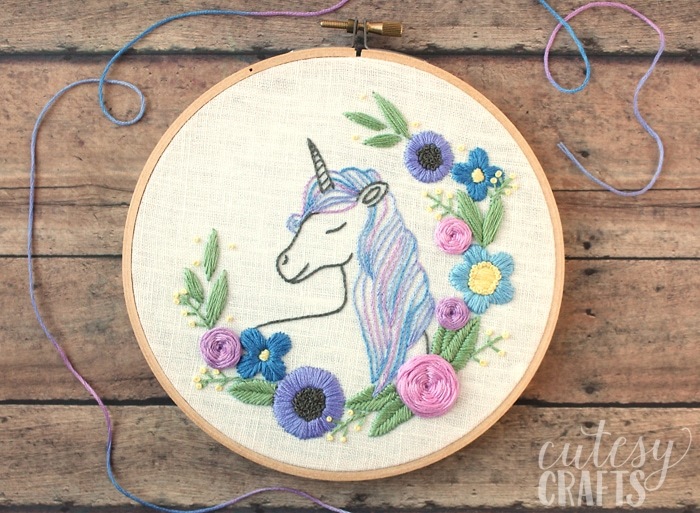 Go here to see step-by-step video instructions to stitch this hoop. DMC embroidery floss – DMC 4215, 3078, 3755, 340, 554, 645, 3609, 826, and 368. 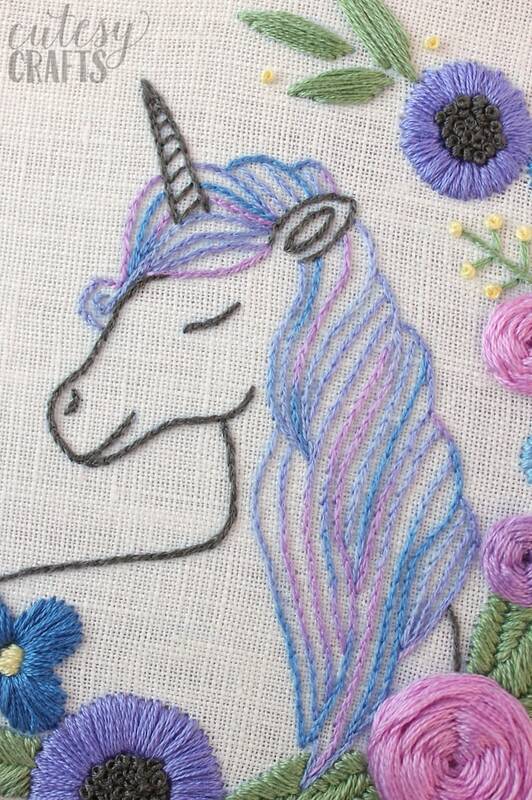 I really love the color-changing thread that I used for the unicorn’s hair. It was so fun to stitch and see what color was going to come next. I got really excited every time it changed to dark blue. Haha! Make sure to use small stitches to get around those curves. All parts of the unicorn are done with a split stitch except for the lines on the horn. I matched some colors from the color-changing thread to make the flowers. I used woven wheel and satin stitches for those, along with french knots (my favorite). The larger leaves are fishbone stitches, and the smaller ones are a satin stitch. 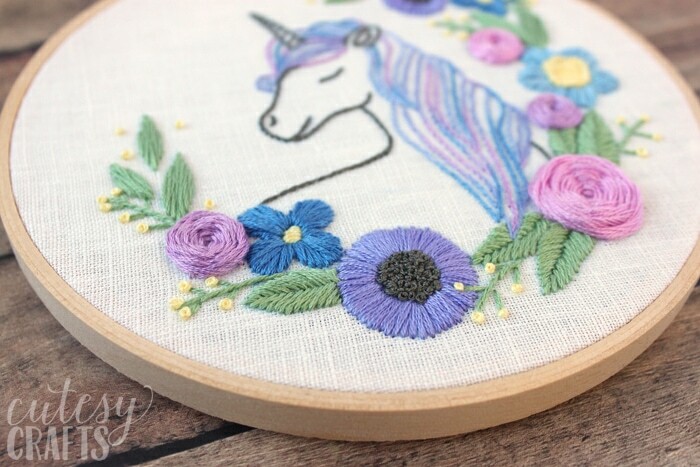 I really love how this unicorn embroidery pattern turned out, and I hope you enjoy it too. 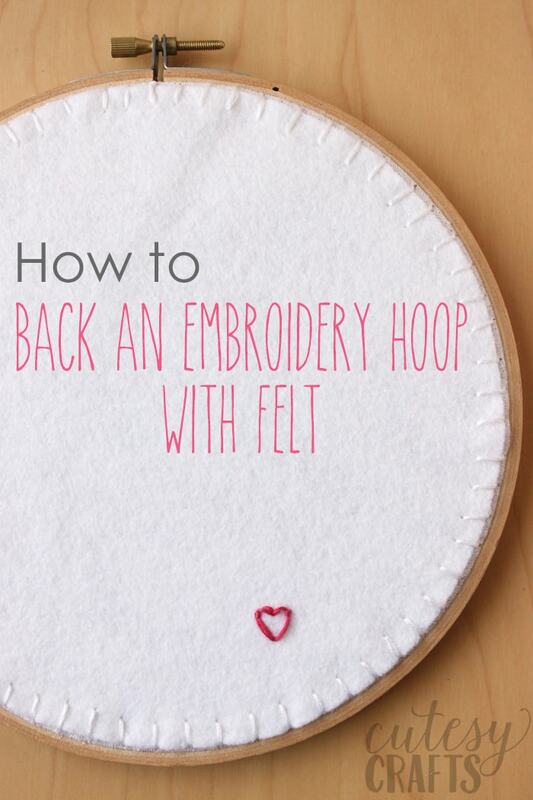 Go here to see how to back your embroidery hoop with felt. See the first video in my stitch-along below, or click here to see the entire playlist on YouTube. 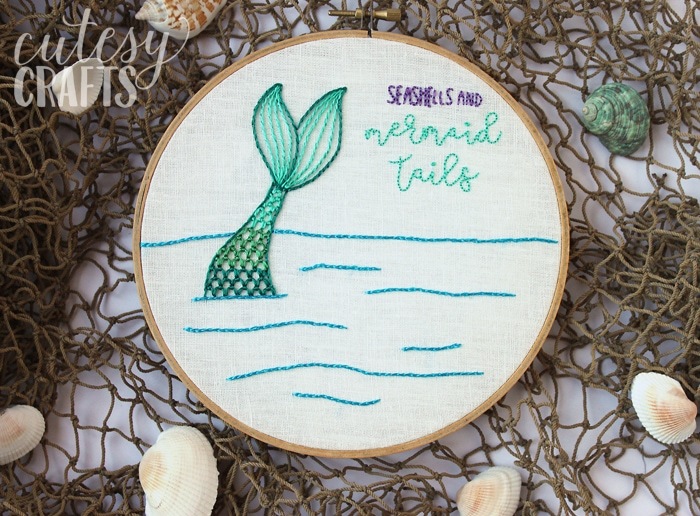 Also, check out my other hand embroidery designs for more inspiration. I’ve got lots of free embroidery patterns! Thank you! Yes, it’s in the supply list. First item that says “free pattern.” Click that link and it will take you to download it. If you can’t get it to work, send me an email, and I can send it to you. Just wanted to say thanks for the pattern and share how I did mine…I changed the colors up to pastels and love how it turned out! I wish I had found your site long ago. 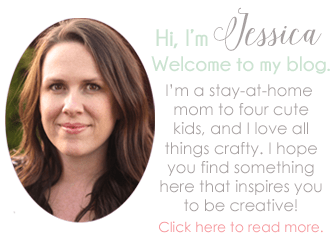 Your patterns are amazing and your site is too. I subscribed and can’t find the pattern. Am I missing it somewhere? You should have gotten and email with a link to confirm. Then you’ll get another email with a special link to my embroidery pattern library. If you don’t, email me, and I’ll help you out. Love this pattern! I was able to download the pattern but it when I open it the only picture has all the writing on it for how to do the stitches. Am I missing something or is there a download that has the plain outline of all the entire picture. Like on that you would use to transfer on to fabric. How are you transferring the pattern? I usually trace mine by hand with a pen, so I don’t have to worry about the extra lines and instructions. Send me an email, and I can give you the pattern without the markings. 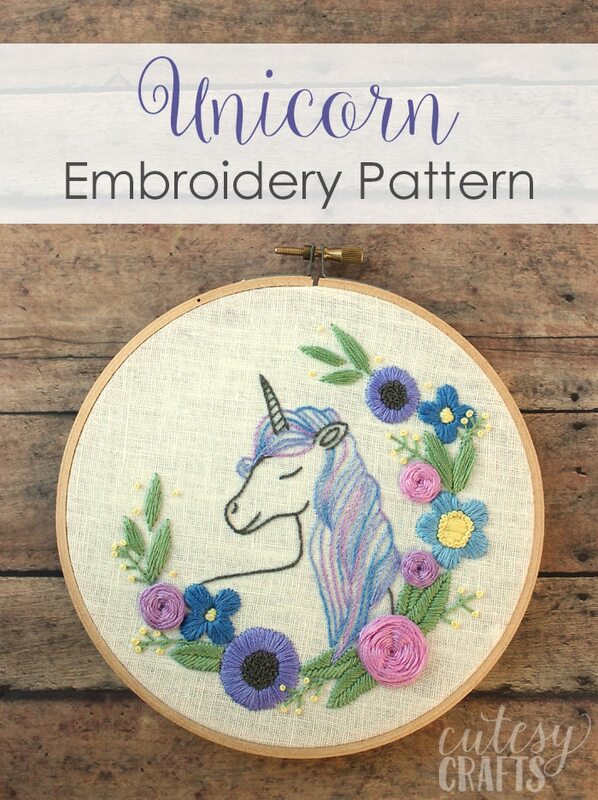 I have been looking for the free pattern for the Unicorn and I can not seem to find it …. I love this design and I want to put it on a tee shirt for my Granddaughter.. Can You help me ? ?